Louisville Trivia Blog: Fun Fact Friday Part VI - Hey, We Wrote That! The newest exhibit at Louisville Slugger Museum & Factory is sponsored by Topps trading cards. The show opened March 14 and runs through October 4, 2015. 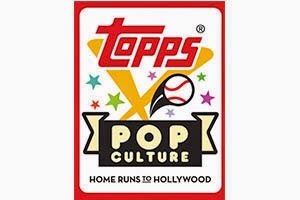 The exhibit features iconic baseball cards as well as collectible cards from pop culture staples like Star Wars, Batman, Superman, Indiana Jones, Elvis, and the Beatles. The folks at Louisville Trivia are proud to be a small part of the exhibit. Aside from all the cards and pop culture paraphernalia, there will be a trivia program twice a day during the museum's busy season. We were honored to help write more than 125 questions for the trivia games. Designed to mirror the game Who Wants to Be a Millionaire, one program will feature baseball trivia and the other will feature pop culture trivia. Each game consists of nine questions (you know, like nine innings), each one getting progressively harder. If you're picked as a player and you make it through all nine innings, you'll get a free personalized Louisville Slugger bat. If you make it out to the museum, make us proud!